Benefit Roller Lash - $24.00: This product I will be repurchasing. The formula is dark and buildable so I can apply two coats for the day and an extra coat for a nighttime look without my lashes getting clumpy. The wand is curved which gives my lashes a voluminous curl at the lash line and upwards length. And it doesn’t smudge during the day. BareMinerals Complexion Rescue - $29.50: This product is similar to a BB cream or light tinted moisturizer in that the formula is really smooth and light. In fact, it so light it feels like naked skin. It’s not as buildable as I would like so it doesn’t offer me the exact coverage I’m looking for. It gives me a dewy shine which I like but if I don’t set it, I toe the line of dewy and oily by the end of the work day. I love this product for light weekends. BareMinerals BareSkin Complete Coverage Concealer - $21.00: I use this on weekdays or nighttime when I need a bit more coverage than the Complexion Rescue offers. The color is perfect and formula thick though it blends better with my foundation than the Complexion Rescue. A little goes a long way so I see this lasting a while. Good bang for your buck. BareMinerals Moxie Lip Gloss in Rebel - $18.00: I will buy this again and again and again. This is the perfect just pink enough color for everyday wear and high shine. It’s not too sticky and lasts hours. Aside from the color, the applicator is a dream. It doesn’t pick up too much formula and is narrow and long enough to evenly apply the gloss without extending past your lips. RCMA No Color Powder - $12.00: This is it, you guys. The holy grail-est of all holy grail products. I could never bring myself to spend $28 on the Laura Mercier setting powder all of youtube swears by so I can’t compare it, but this is the best setting power I have ever used. Ever. It is completely transparent so don’t be afraid of looking like Casper and it sets your make up all day. No shine and no budging and it’s not drying at all. The best part? It’s only $12 for 3oz! Marc Jacobs Beauty Air Blush - $42.00: I go back and forth on this product. The color is really pretty (though its not as pigmented) as I would like and it applies very easily. 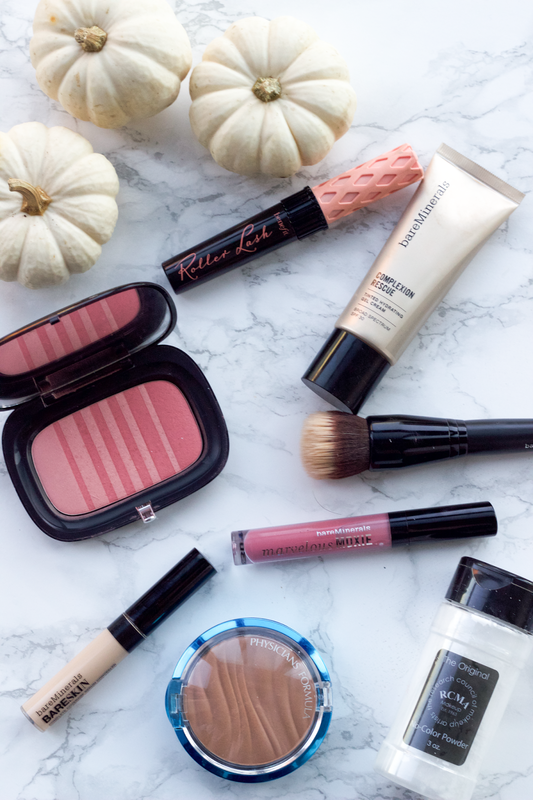 It is one of the most blendable blushes I’ve used. The downside is that it doesn’t have great staying power. That being said, I still use it most days but don’t plan to rebuy it. With a $42 price tag, I expect a little more lasting power. I got this product in an Influenster box earlier this summer so while I like it, I'm glad I didn't pay for it. Physicians Formula Mineral Wear Airbrushing Bronzer - $13.99: This is a drug store bronzer to add to your arsenal. 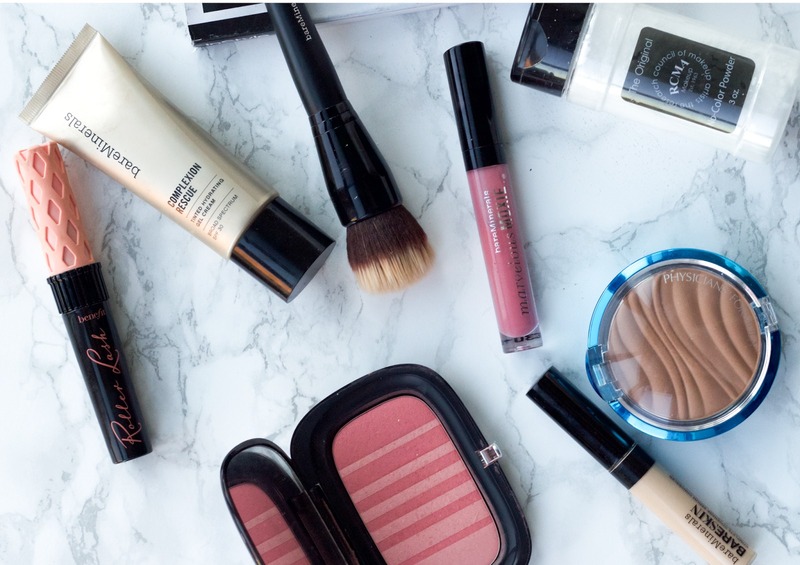 The price point is on the higher end for drugstore products but it is worth it. The formula is really pigmented and super blendable. A little goes a long way. This is a good hue for contouring as its really warm and not orange giving you a sunkissed glow. Roller lash is one of my faves! I got it in a birchbox and was the only product I ever decided I needed the full size of! Thanks for being so helpful for all those who are finding job these days. My husband is one of them who is searching for a job while having one.Will definitely convey your these suggestions to him.